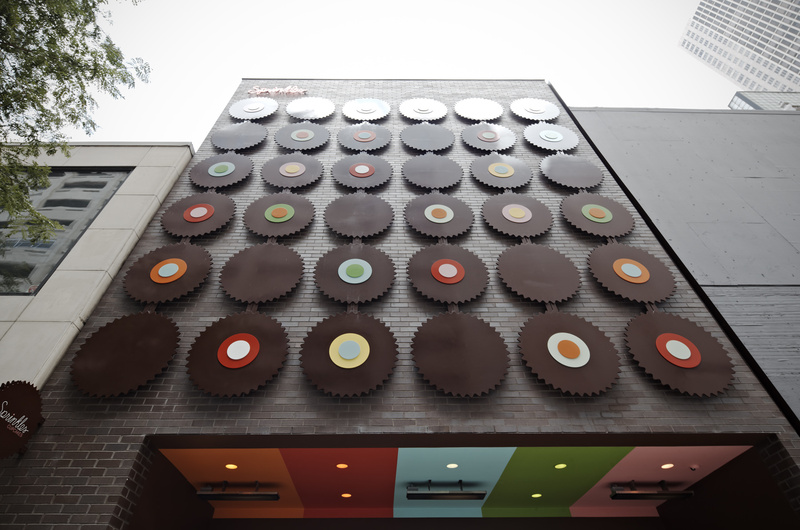 AIA Chicago recognized Sprinkles Cupcakes with an Interior Architecture Award at the 56th annual AIA Chicago Designight, held on October 28, 2011. Architect of Record HPA, collaborated with a l m project, the design architect, to create a retail storefront in Chicago’s Gold Coast for the Beverly Hills-based gourmet cupcake bakery. Behind a masonry exterior clad with a signature façade featuring Sprinkles’ iconic cupcake motif, the minimalist white oak interior features a striking presentation of the day’s cupcake varieties behind a full height sheet of glass. For more information about the project award, click here.